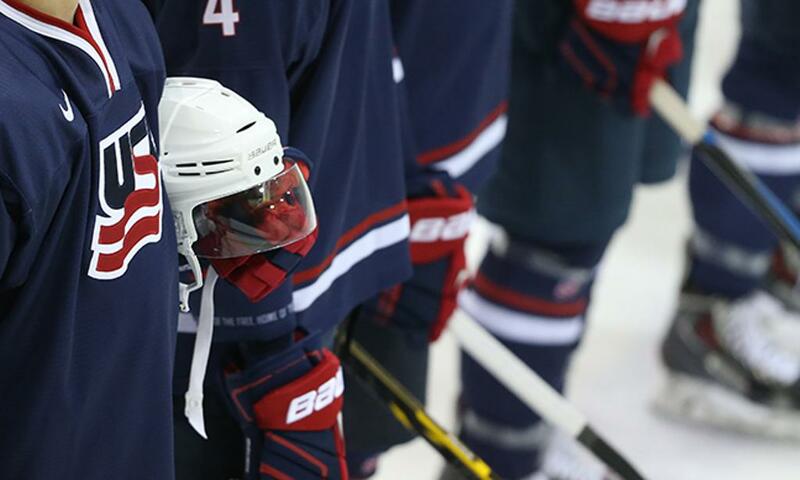 The U.S. National Junior Team will take part in the 2020 International Ice Hockey Federation World Junior Championship Dec. 26, 2019 – Jan. 5, 2020, in Ostrava and Trinec, Czech Republic. The United States will compete in Group B alongside host Czech Republic, Canada, Germany and Russia. Team USA and Group B will play preliminary round games in Ostrava, while Group A, which includes Finland, Kazakhstan, Sweden, Slovakia and Switzerland, will play its preliminary round games in Trinec. Sandelin has been a part of three previous U.S. National Junior Team coaching staffs, including as head coach in 2005 and as an assistant coach in both 2012 and for last year's silver medal-winning team. The 2018-19 season, Sandelin's program-record 19th campaign behind the Bulldog bench, ended in celebratory fashion last Saturday as Minnesota Duluth became the first school since Denver in 2004 and 2005 and ninth school ever to successfully defend its NCAA national title. Since joining the Bulldogs in 2000-01, Sandelin has led the program to all three of the program's national championships (2011, 2018, 2019), making him just the ninth head coach in college hockey history to accomplish the feat. This year's title came on the heels of the program's National Collegiate Hockey Conference (NCHC) Frozen Faceoff victory on March 23, the third conference tournament title under Sandelin (2009 WCHA, 2017 NCHC, 2019 NCHC). A four-time Spencer Penrose Award finalist and the 2004 recipient, Sandelin holds a 21-6 (W-L) record and .778 win percentage in NCAA Tournament play, the best of any active men's college hockey bench boss. Prior to joining Minnesota Duluth, Sandelin spent six seasons (1994-2000) with his alma mater, the University of North Dakota, where he helped guide the team to a pair of NCAA titles (1997, 2000), three WCHA regular-season championships (1996-99) and two WCHA playoff crowns (1997, 2000). Born and raised in Hibbing, Minnesota, Sandelin's four-year playing career with North Dakota was capped by a senior season in which the defenseman captained the team and amassed a career-high 38 points in 40 games to earn honors as team MVP, All-WCHA First Team, All-American Second Team and be named a finalist for the Hobey Baker Memorial Award. Drafted by the Montreal Canadiens in the second round, 40th overall, of the 1982 NHL Draft, Sandelin played seven years of professional hockey, including NHL stints with the Canadiens (1986-88), Philadelphia Flyers (1990-91) and Minnesota North Stars (1991-92). Internationally, Sandelin skated for the United States on three occasions. After making his international debut at the 1984 IIHF World Junior Championship, Sandelin skated in the 1986 IIHF Men's World Championship before representing the United States at the 1990 Goodwill Games. NOTES: Scott Sandelin was revealed as head coach for the 2020 U.S. National Junior Team today on NHL Network’s “NHL Now ... ” NHL Network is the exclusive U.S. home of the 2020 IIHF World Junior Championship … Assistant coaches for the United States will be named in the coming weeks ... 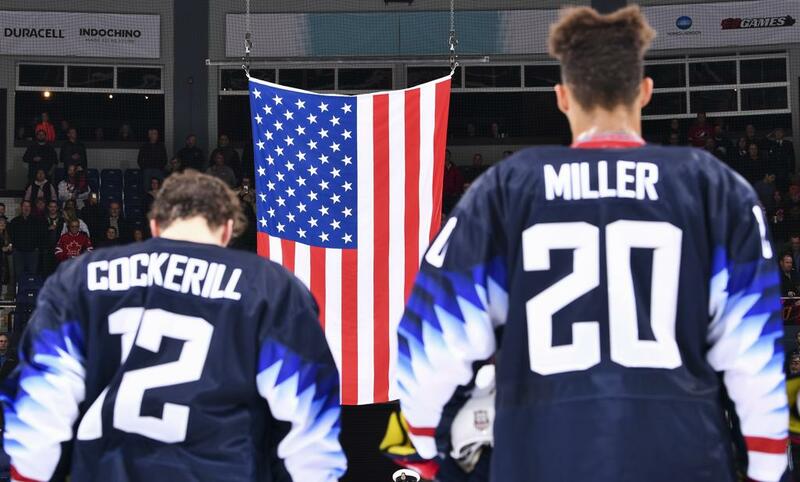 The United States enters the 2020 IIHF World Junior Championship having medaled in four straight World Junior Championships for the first time in U.S. history after earning gold in 2017, silver in 2019 and bronze in 2018 and 2016 … To date, the U.S. National Junior Team has claimed 12 medals, including four gold medals (2017, 2013, 2010, 2004), two silver medals (2019, 1997) and six bronze medals (2018, 2016, 2011, 2007, 1992, 1986) … For more information on the U.S. National Junior Team, click here … USA Hockey’s international council, chaired by Gavin Regan (Potsdam, N.Y.), vice president of USA Hockey, has oversight responsibilities for all U.S. national teams.